Charlie Brooker’s Black Mirror has received critical and commercial praise, the thought-provoking satirical anthology series recently won two Emmy Awards for the episode ‘San Junipero’ for Outstanding Television Movie and Outstanding Writing for a Limited Series, Movie, or Dramatic Special. 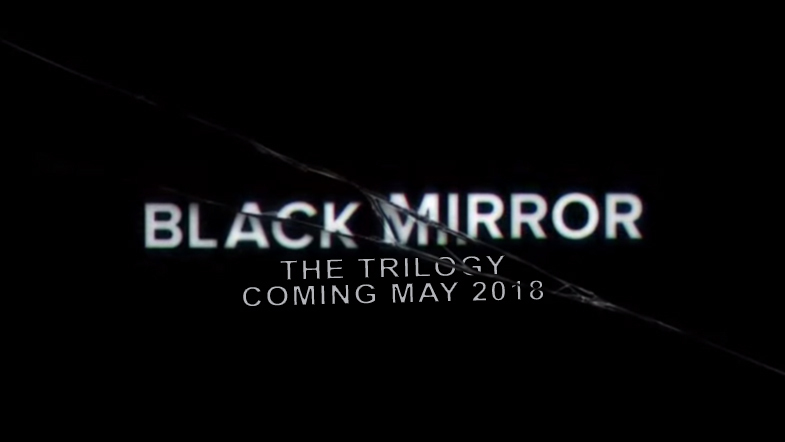 Piggybacking off this success, Brooker has announced a three-part Black Mirror book series from Penguin Random House, the first of which will be released in February 2018, but is available for preorder now for Kindle through Amazon UK. All-new Black Mirror stories from exciting authors — that’s a joyous prospect. And they’re appearing in a high-tech new format known as a ‘book.’ Apparently, you just have to glance at some sort of ‘ink code’ printed on paper and images and sounds magically appear in your head, enacting the story. Sounds far-fetched to me, but we’ll see. ), and Sylvain Neuvel (Sleeping Giants) will pen novella-length stories that are sure to make your skin crawl and your brain work at double speed. Fans won’t need to wait until 2018 to get their next Black Mirror fix. The fourth season of Black Mirror will premier in the next few months despite no official release date, with a total of six episodes directed by hard hitters like Emmy-winner Tim Van Patten (The Sopranos) and Jodie Foster.